Further down the vintage hi-fi rabbit hole…(don't tell my wife). 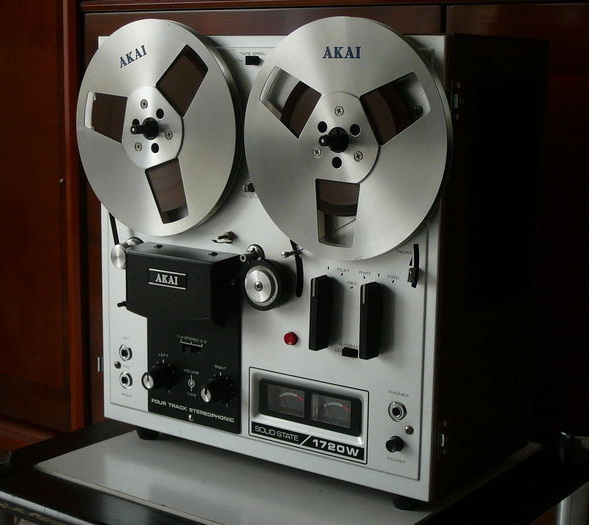 It's a 1971 Akai 1720W reel-to-reel tape deck. I bought it from the original owner, who himself bought it in Vietnam during the war (subsequently bringing it home to the U.S.). I love the "Made in Tokyo" stamped on the back. What can you find that's made in Tokyo anymore? The exterior of the case is fully trimmed in wood, and it comes with a wood latch-on transport face cover. The build quality and the satisfying 'clunks' of the interface just can't be matched by most things made today.